In this age of toning classes and prenatal Pilates videos, it’s safe to assume prenatal exercise is already deemed safe. Unfortunately, when it comes to the particulars—Can I do resistance training exercises? Should I work out my abs while pregnant? Would running be safe?—misconceptions and myths still abound. Keep yourself in the know by finding out the truths behind common pregnancy fitness fallacies that just won’t go away. Doing strength or resistance training exercises when pregnant can result to joint injury. 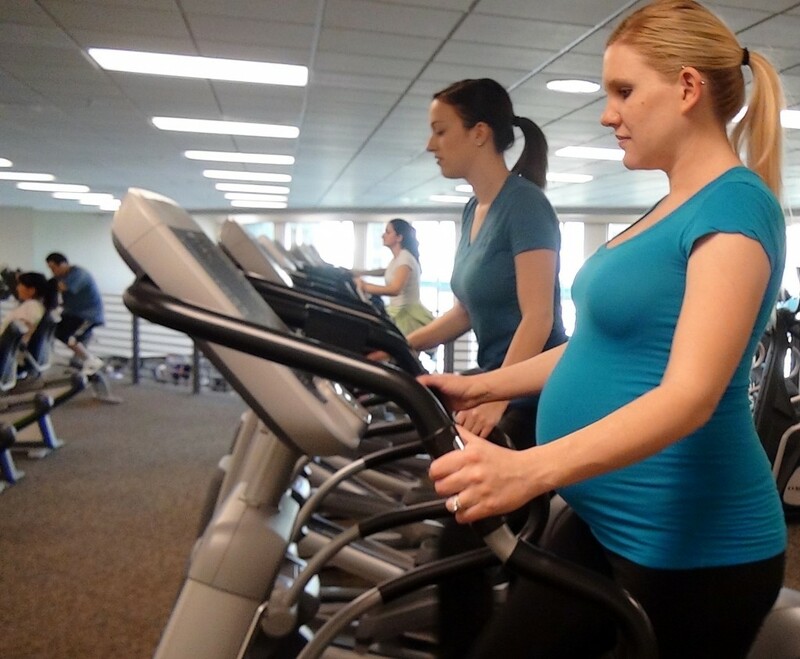 A study conducted by the University of Georgia in 2011 established that a low to moderate intensity prenatal exercise is safe, even for novices. The 12-week study was done on 32 women who are into weeks 21 to 25 in their pregnancies. They were asked to work out twice a week and to increase the amount of weight they lift by an average of 36 percent during the course of the study. Not a single one of the pregnant participants reported or suffered any injuries. There were also no reported signs of rise in the blood pressure or anything else that might be a serious cause for concern. You shouldn’t work out your abs while pregnant. The bad news: doing crunches should be avoided after the first trimester. Crunches are deemed no-nos as the uterus might compress the vena cava. The vena cava is a major vessel tasked to return blood to your heart. When compressed, it can reduce blood flow causing nausea and dizziness. Running is not safe during pregnancy. Let’s get one thing straight—your baby is safely swimming in amniotic fluid. That being said, there is no way you can “shake your baby loose” even if you tried. As long as you don’t notice any significant changes in your ligaments and joints, you can still continue to run. Some women are able to run even months into their pregnancies. However, even Olympic athletes can only do so much especially when the tummy gets bigger. Fortunately, there is always the option to switch to lower impact activities such as water workouts or walking. Never get the heart rate over 130 when exercising. As far as heart rate goes, there has never been a figure that is deemed applicable or right for every pregnant woman. In fact, the whole “target heart rate” idea has been abandoned a long time ago as it was not based on anything concrete. Nowadays, most experts use the RPE or rate of perceived exertion as their guide. The RPE is a scale that determines the intensity of your activity based on how you feel while doing it. Cardio exercises would be dangerous for your baby. Most workouts that get your heart pumping are deemed safe for both you and the baby. How much exercise you can handle however, will depend mainly on your fitness level. To safely and accurately gauge if you are pushing yourself too much, you can use the “talk test.” If you are able to engage in at least a two-minute conversation without gasping for air, then you are safe. Many pregnancy fitness misconceptions have been the product of outdated advice or just plain old wives’ tales. To play safe, always get medical advice prior to engaging in any physical activities so any risks and injuries are safely kept at bay.